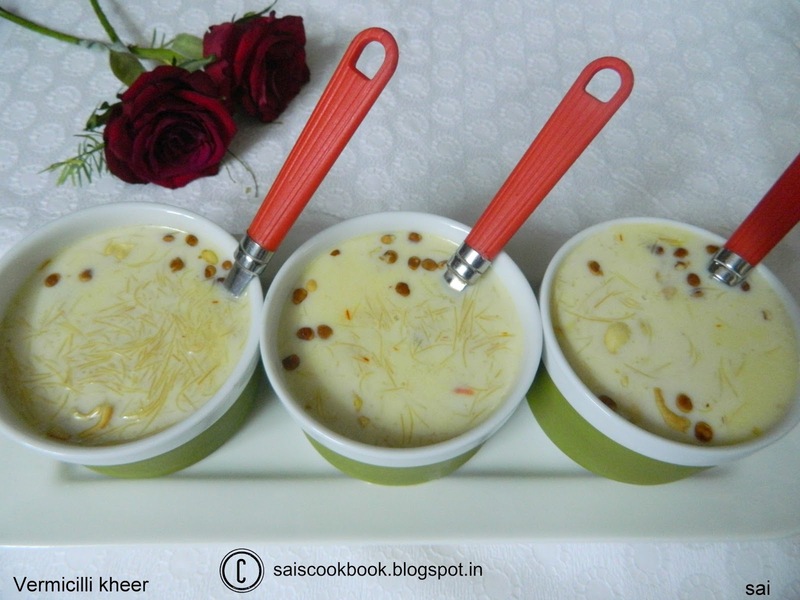 This Kheer was my childhood favourite kheer and still remains to be. 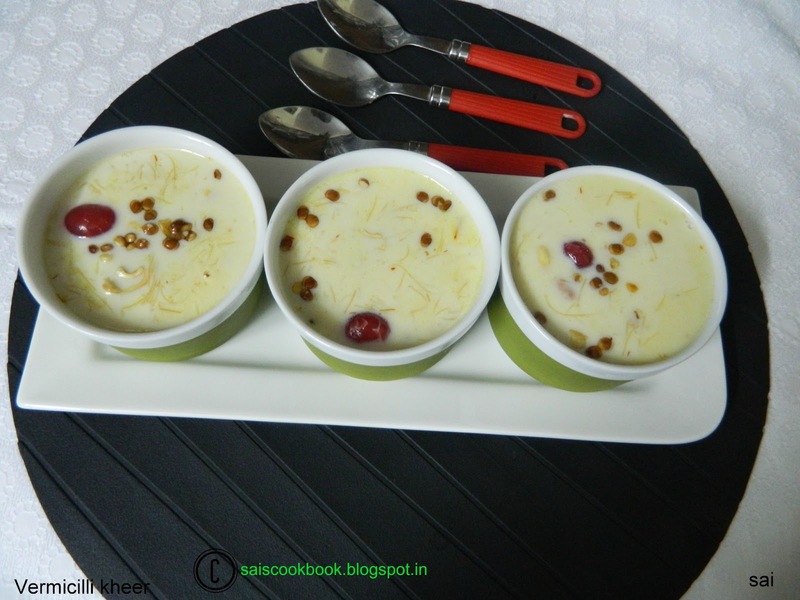 It is most popularly known as Seviyan kheer in India.It is commonly prepared during festivals or any occasions like weddings,birthdays etc.This time I prepared it on my daughters demand,and why not?, if the kids doesn’t like to have milk directly, this is the best way to consume with the goodness of dry fruits and sugar.Valentines day is nearing, just two more days to go.I have prepared Strawberry cheese cake for the occasion,what did you ll plan? Heat 2 tsp ghee and roast the vermicelli for 3-4 mts in simmer. Boil milk,add sugar,stir it until it dissolves,add roasted vermicelli, saffron milk,cardamom powder and cook it until it gets cooked. Roast Cashewnuts,raisins chironji in 1 tsp ghee until light brown in color and add it to the kheer. 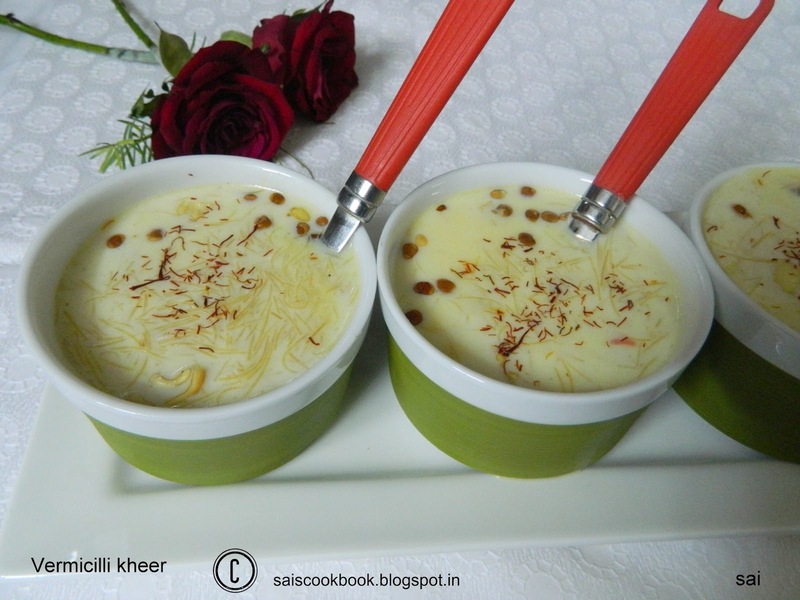 If you find the kheer to be too thin dissolve 2 tsp of custard powder in milk and add it to the kheer and take a boil. If you find the kheer to be thick add more milk and adjust the consistency. You may also add other dry fruits like almonds or pistachios.